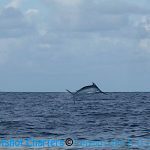 As I promised I’m back with a black marlin fishing update as to what Hotshot Charters has done so far. 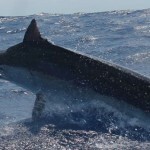 As we traveled up the coast from Hamilton Island we went to Wallaby Reef were we caught a assortment of big baits. 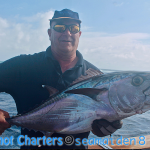 Moved on to Prawn were not only the bait fishing was good but the Giant Trevally bite was better. We spent a good part of the day catching and releasing these tough hearty fish! 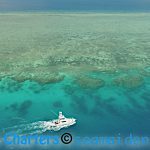 We spent the next day at Myrmidon Reef where the scad fishing kept us busy but the dog tooth tuna and small blacks kept us jumping. 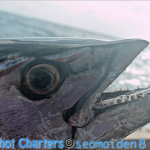 Noggin Reef provided a wahoo which are always fun on the old spin rod! 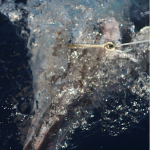 As we approached Cairns we stopped to fish along Arlington and we were happy to see some mid range black marlin. The following day took us to South Opal and here we raised a few more blacks and were again awarded with a small juvenile black. 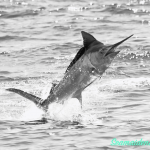 Our last day out we fished No.3 to No.5 Ribbon reef and were awarded with another Dog Tooth Tuna as well as a late afternoon bite from again a juvenile Black. 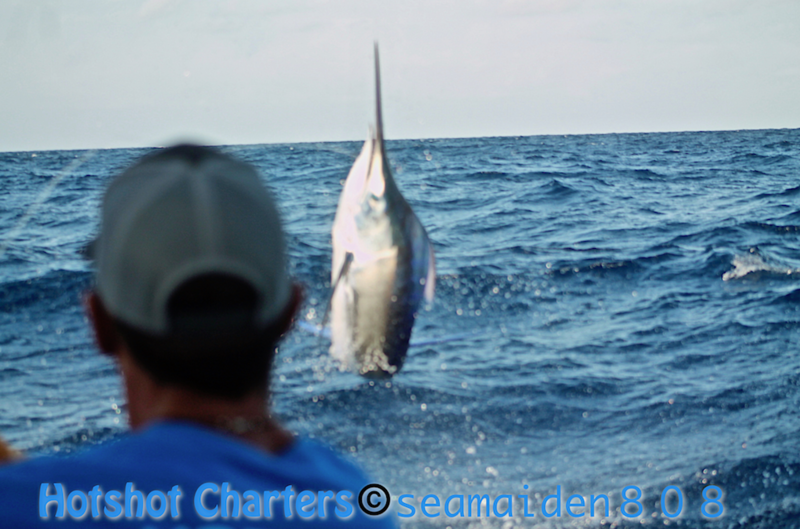 Yesterday had us arrive into Cooktown to fuel up and get ready to start our Giant Black Marlin Season for 2017. So far it looks very promising with all the bait around. We have already caught several small blacks and had a few bites from a few mid range fish. 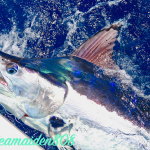 Reports are coming in on some Very big girls being caught from the top to middle ribbons. 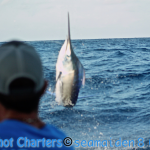 We still have a few select dates and 1 spot open for a share charter. Please contact us for dates and cost.